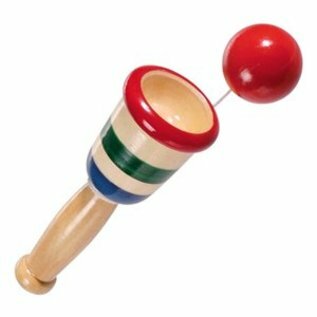 This modern version of a retro toy challenges users to flip a ball into the air and catch it in a wooden cup at the end of the toy's handle. Sturdy wooden construction is designed to withstand hours of intense play. The brightly colored wooden ball is attached by a stout cotton cord for extra safety. 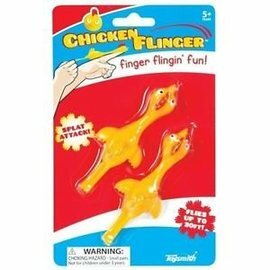 This toy is suitable for indoor or outdoor play.